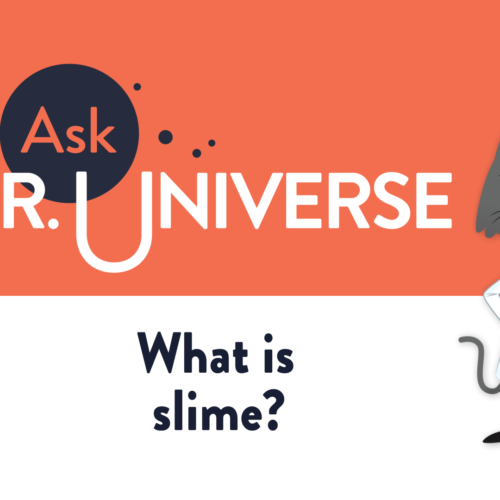 Northwest Public Broadcasting and Washington State University Communications teamed up to bring Dr. Universe to life, well at least to an animated series. Do you have a baffling science question of your own? You can send it to Dr. Universe here. In fact, you were born with about 300 tiny bones in your body. As you began to grow, some of the bones fused together and became single bones. Now, you carry around a skeleton of 206 bones. Those bones are pretty strong, too. They are mostly made up of the same minerals that keep your teeth strong and a tiger’s claw sharp: calcium phosphate. They also contain some proteins, vitamins, water, and other elements. That’s what I found out from my friend Susmita Bose. She’s a materials engineer here at Washington State University and knows a lot about the science of our bones. As strong as our bones may be, they are actually breaking down all the time, she said. We have two main types of bone cells. There are the bone-eating cells called osteoclasts and the bone-building cells called osteoblasts. They work in a cycle. Since the day you were born, your skeleton system has been, in a way, always re-making itself. Still, sometimes our bones do more than just micro-crack. Even when we do our best to keep our skeletal system healthy, bones sometimes break. As we get older, the bone-building cells start to slow down. Some bones can become so damaged that a person might need to replace them. In the lab, Bose and her team use a special form of calcium phosphate to make custom bone replacement parts. These are called implants. It takes a group of smart scientists who know a lot about chemistry, biology, engineering, and medicine to make the implants work. “You can make a special X-ray scan of the bone defect, then send a file of the information through a computer, and the 3-D printer will make the part based on your file,” Bose said. She showed me a few of the bone replacement parts from the printer. They looked and felt a lot like the bones you’d find in the human body. “I often say it isn’t easy to mimic Mother Nature,” Bose said. But using a variety of sciences, she said the team is getting closer to building bone materials that improve the way people heal. They design implants that are friendly to the rest of the body and that get along with the different bone cells and other cells, so the growing cycle can continue. Maybe someday if you break your arm in football or hurt your ankle in soccer, your doctor could pop in a specially made implant. Perhaps you would even be able to join your team again before the season ends. 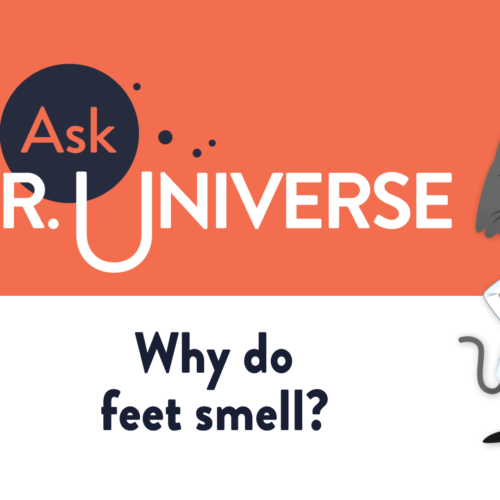 – [Narrator] Hey cool cats, I’m Dr. Universe, here to answer your baffling science questions like this one. 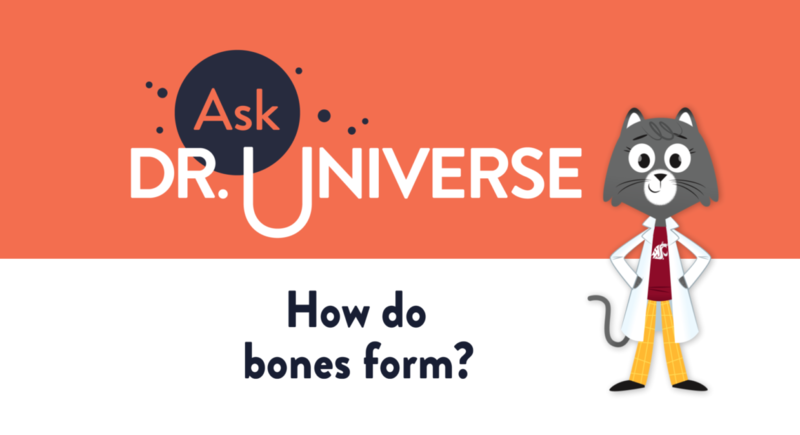 How do bones form? Most humans have 206 bones. But did you know, you are actually born with about 300? Before you were born, your skeleton was soft and bendy. Then when you were a baby, some of those bones started to fuse together to become bigger bones. Meanwhile, cells in your body were helping make your bones even stronger. We all have bone-eating cells and bone-building cells that work in a big cycle. Since the day you were born, your skeleton has been in a way always remaking itself. 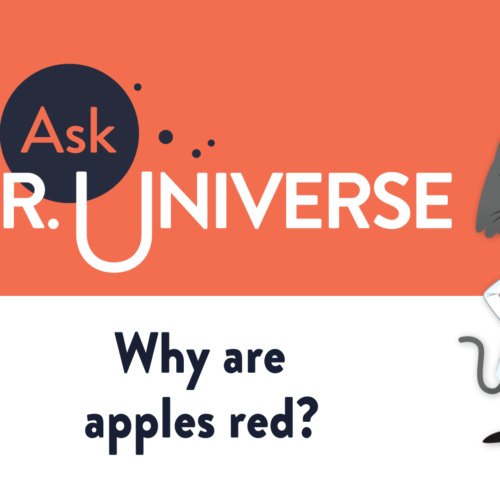 Send me a science question of your own at askdruniverse.wsu.edu. 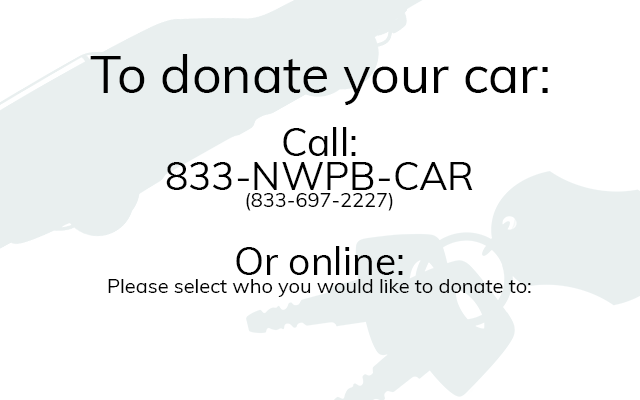 e-mail us at [email protected]!